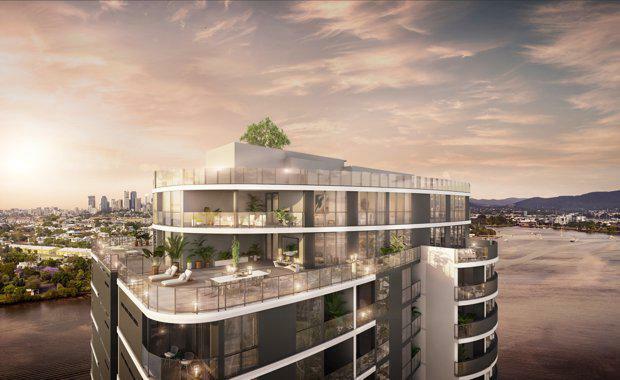 A buyer has invested $5 million in Brisbane's luxury apartment market to secure a double penthouse at Brookfield Residential Properties' 'Gallery House' on the Hamilton riverfront. The project has been in high demand with $30 million worth of penthouses and three-bedroom apartments now sold. 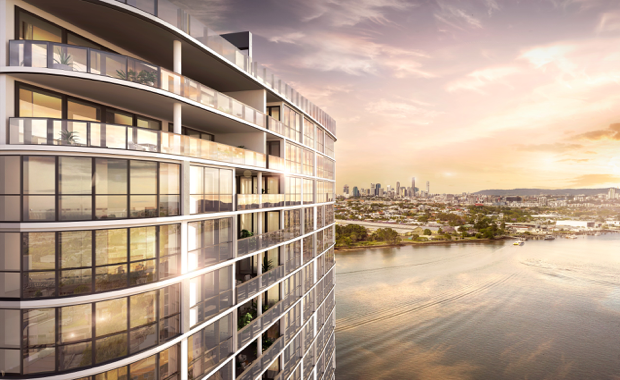 The latest buyers, who are downsizing from their family home, have purchased two penthouses off-the-plan, which will be transformed into one bespoke residence spanning 694 square metres on an upper level of the riverfront residential tower. Total Property Group (TPG) director Adrian Parsons said the penthouses’ $5 million price-tag made the sale one of Brisbane's highest in recent years. He said the top-end of the market was strengthening and riverside addresses were in high demand. "The higher-end of the Brisbane apartment market is gaining momentum, particularly in projects where the residences have been designed with owner occupiers in mind," he said. "Buyers are looking for projects with higher attention to detail that give them the ability to choose from a range of upgrades to personalise their apartments." The double-penthouse that sold at Gallery House has 360 degree views with open-plan living spaces, floor-to-ceiling windows and 265 square metres of landscaped terraces and balconies. The master suite alone is larger than many one bedroom apartments and features two private balconies, a 31 square metre walk-in- robe and dressing room, stand alone bath and separate, double shower. Cottee Parker Director Sandra Browne said the layout was tailored to deliver open plan entertainment areas, both formal and informal, with vast kitchens - including a separate butler's pantry and temperature-controlled wine room with glass walls. "The extensive perimeter glazing has allowed opportunities to locate several living areas that have a choice of orientation and view corridors, with spaces that take advantage of winter sun and summer shade. "Dedicated walls for art have been strategically positioned and lit to provide a backdrop to selected spaces. "In all our 'Sky Collection' apartments, the master suite is located in its own wing, separate from the other bedroom cluster to ensure privacy and exclusivity," she said. "We also incorporate extensive balconies that run the entire length of the living and dining frontage; while corner apartments feature two glass frontages to maximise view corridors and spaciousness."